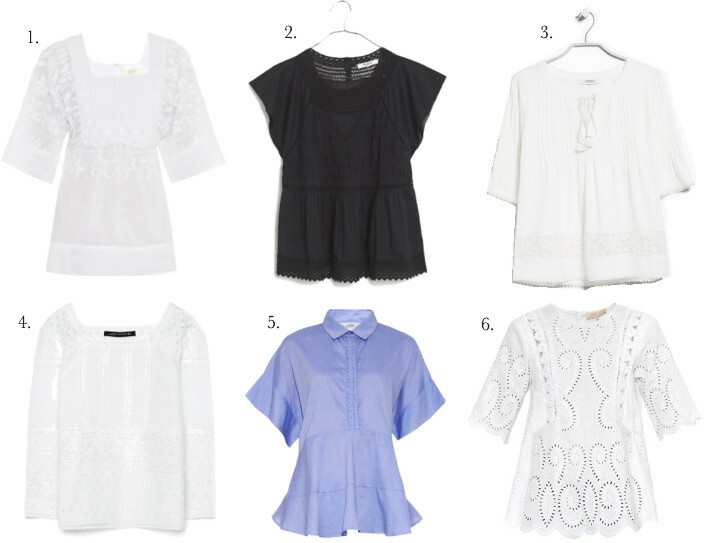 My obsession for embroidered cotton voile tops began when I bought my very first from Isabel Marant. Since then, I've been slowly adding a few more to my rather meager collection. I've put my two Love Sam tops through the ringer last year, having worn them all summer. They've been washed more times than I can remember and have held up incredibly well. My personal style verged on tomboy-androgynous so these pretty frilly lace tops add a touch of femininity that's missing from my wardrobe. The tissue thin cotton fabric are airy enough to combat the stifling hot summer months. You may not believe this but I do not own a single denim shirt. This is something I hope to remedy fairly soon. Denim cutoffs are my staple but I'd like to get a couple more options like these J.Crew military and Mango ripped black shorts. Thankfully, the prices are fairly decent. I'm also looking to replace my beat up panama hat but finding one in extra small size is a pain in the a$$. I've got a tiny head.....(and small feet. Argh! What luck!) so please give me a holler if you happen to see a proper straw panama hat in size 53 or 54cm. 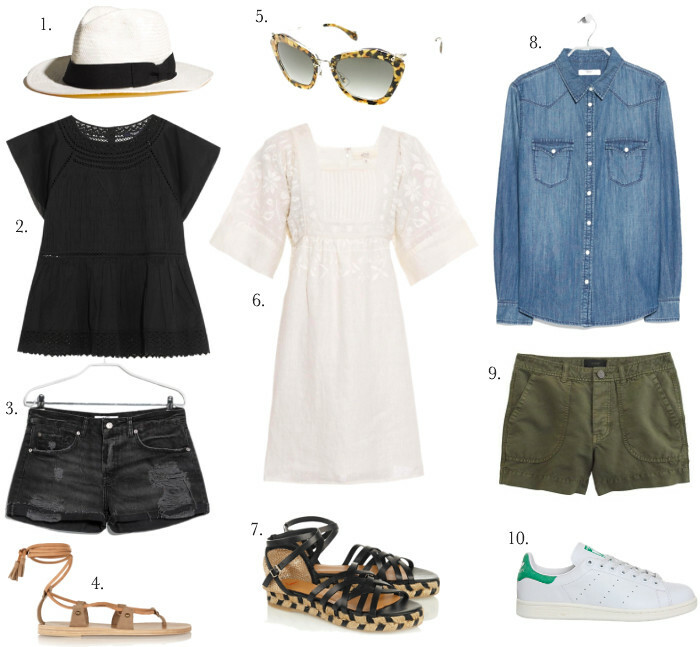 So.....what's on your summer must have list? While sick at home (of course during the week end, not fair! ), I browse my favourites blogs. I remember, dresses do suit you you know so this little white cotton number should look good on you. I am glad that you mention Vanessa Bruno because she's not so often.As for embroidered cotton tops, you might also give a try to some shops on Etsy were you can have beautiful custom outfit not so expensive. Oh no! I hope I didn't pass my cold to you. I couldn't get out of bed for 3 days when I got home. I'm loving Vanessa Bruno lately but then again, she was my first love before IM came into the picture. Same here. Vanessa Bruno is under-rated. Good for those of us who don't want to wear what everyone else's wearing. Madewell is available on NAP but the prices tend to be higher than their US site. What to do?? Duty tax and all.